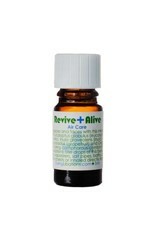 Living Libations Revive Alive Air Care Blend purify places, spaces and faces. 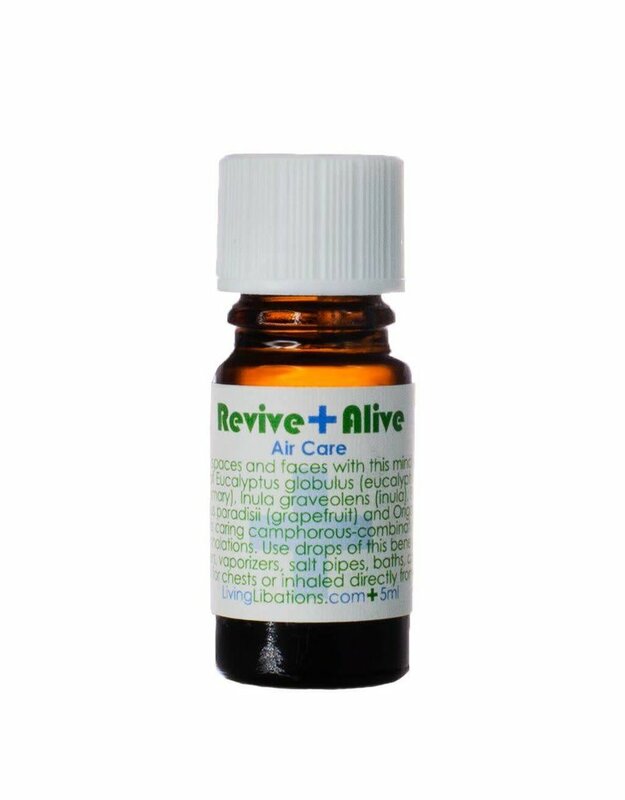 This mind clarifying, air purifying fusion of eucalyptus, rosemary, inula, black spruce, grapefruit and oregano is perfect for anointing the airways while sleeping, meditating, studying and concentrating. This caring camphorous-combination revives the inspiration of inhalations. Use drops of this benevolent air care blend in diffusers, vaporizers, salt pipes, baths, and diluted as a massage oil for chests or inhaled directly from the bottle. Formerly, Deep Breathing Blend - new name yet the formula remains the same. Directions: Use this benevolent breathing blend in diffusers, vaporizers, salt pipes, baths, and diluted as a massage oil or inhaled directly from the bottle. Organic Ingredients: Eucalyptus globulus (Eucalyptus), Rosemarinus officinalis (Rosemary), Inula graveolens (Inula), Origanum Vulgare (Oregano), Picea mariana (Black Bruce), and Citrus paradisi (Grapefruit).